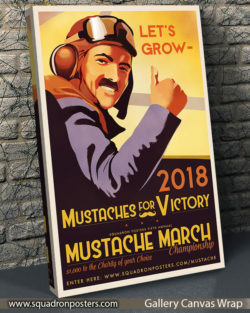 2018 Squadron Posters – Armed Forces Mustache March Championship! – Armed Forces Mustache March Championship! 1. 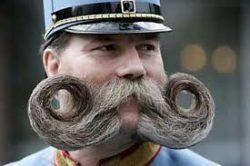 Bragging rights to be the “2018 Armed Forces Mustache March Champion”. 2. $1,000 Donation: The winner gets to choose a charity that we will donate $1,000 to in your name. 1. Have fun, don’t ruin your career over breaking regulations but let’s be honest, mustaches can ONLY help your career. 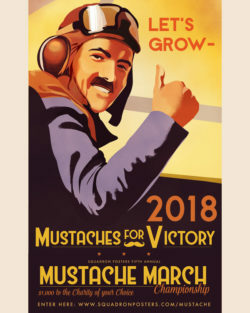 Bring up this photo up on a pad or computer screen and show the “2018 Mustaches for Victory” poster in your mustache “selfie” so we know it’s a 2018 mustache. 3. Participants: Anyone in the Armed Forces who is mustache age appropriate. 4. Women, As Gen Welsh once said ; “[your] job is to ridicule us nonstop about the idiotic look that these mustaches will have on most of us, as we try to look like Tom Selleck and end up looking like a three-haired mole,” he said. “Fight’s on.” – With this in mind, your in this fight and are eligible as well. Show us a fake stache or a funny photo of you ridiculing a military stache. 5. 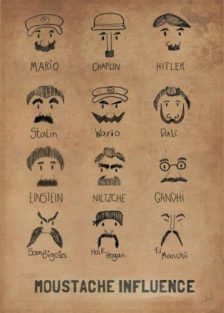 Tell us the “story” behind the stache or about your charitable organization, it can only help! To qualify as a finalist you MUST download and print the free 2018 Mustache March Championship Vintage Style poster (below) OR bring up this photo on a pad or computer screen and show this in your mustache “selfie” so we know it’s a 2018 mustache. *Then post your selfie photo to the Facebook feed on March 30th (follow our Facebook page for the link) * Squadron Posters will select ONE winner based on entries submitted. 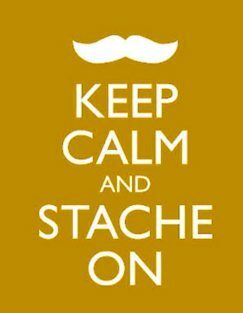 Good luck and let the “stache” begin! 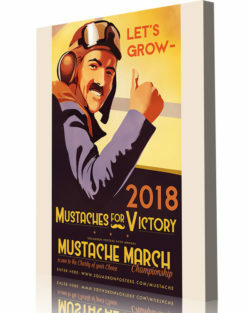 Download and print this Free 2018 Mustache March Championship Vintage Style poster art (Above). 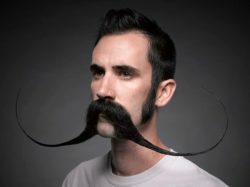 Let’s get it straight–Mustache March began in the US Air Force. No, the idea did not come from hipsters in Portland, Oregon. 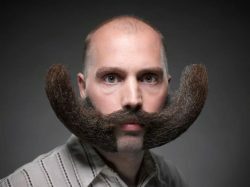 The idea stems from an early Air Force tradition in which members of the U.S. Air Force would grow mustaches in good-natured protest against facial hair regulations during the month of March. 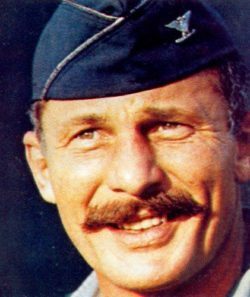 The act of growing a mustache as a gesture of defiance against dogmatic leadership is attributed to U.S. Air Force triple-ace Robin Olds who grew an extravagantly waxed handlebar mustache which did not comply with U.S. Air Force regulations.Robin Olds “Wolf of Kunsan” (July 14, 1922 – June 14, 2007) was an American fighter pilot and general officer in the U.S. Air Force. He was a “triple ace”, with a combined total of 16 victories in World War II and the Vietnam War. He retired in 1973 as a brigadier general. Sergei and Nikolai Sikorsky sign Squadron Posters Artwork!